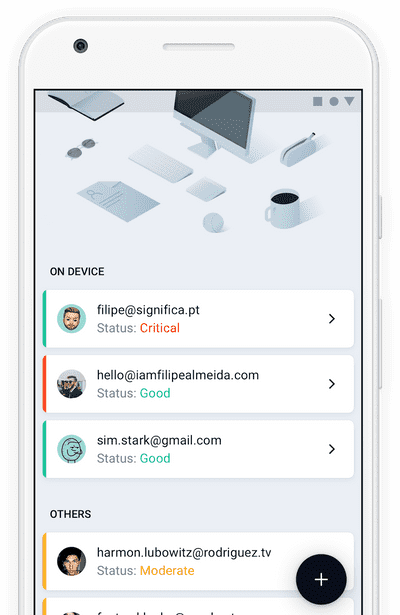 Your mobile ecosystem always protected. intuitive approach to get you informed about incoming threats. Everything is ok!Your ecosystem is less exposed to threats. Be careful!Your ecosystem may be at risk moderate. You are at risk!Your ecosystem is very vulnerable to threats. Our tools to power up your mobile security. From the bigger picture down to details. The best of mobile security available for you. © Atmosfer app 2018. All rights reserved. Something to suggest, or just to say hello.